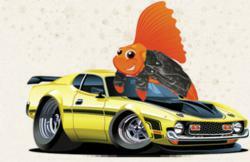 RoadFish.com men’s lifestyle and finance magazine shares tips on picking a great bracket for the 2012 NCAA Tournament. I’ve seen people make this season more about the money than about the teams, players, and games and that is not what this is about guys. RoadFish.com men’s lifestyle and finance magazine today released tips for basketball fans and bracket holders looking for their bracket to go the distance in the 2012 NCAA Tournament this spring. Whether you are picking top seeded teams of the season or simply selecting the winners because you like their mascots, RoadFish.com maintains that bracket-picking should be more about the teams than the money behind the pool. Sports Illustrated writers L. Jon Wertheim and Tobias J. Moskowitz promote smart investing when it comes to bracket picks, encouraging participants to use their head before their heart and sticking with rational, conservative teams instead of “this year’s Butler.” The Sports Illustrated article suggests treating one’s bracket like one would treat a portfolio and taking on the role of an investor in order to optimize the chances of winning the pool. The NCAA Men’s Basketball Tournament is a single-elimination collegiate competition held each year in the spring, with most games being played in March which leads to its nickname of “March Madness.” Only the top 64 teams in the nation qualify to play in the tournament, gathering the leading 16 teams from each of four divisions (East, West, South and Midwest). The tournament includes a total of 67 games played over the course of three weeks to determine the NCAA Champions. Highly anticipated segments of the tournament include the Sweet Sixteen, featuring the remaining 16 teams, the Elite Eight and the Final Four. Currently, UCLA holds the record for most NCAA Men’s Divison I Basketball Championships with 11 national titles. University of Kentucky comes in second with 7, and Indiana University and the University of North Carolina are tied for third place, holding 5 national titles each. Duke University is currently in fifth place with 4 titles under its belt. For the 2012 NCAA Tournament, the number 1 seeds include Kentucky, Syracuse, North Carolina and Michigan State with Kansas, Duke, Missouri and Ohio State ranking as the number 2 seeds. In the above-mentioned AP article, Weimerskirch stated that "The most interesting story I heard came back 15-20 years ago, when Duke (the Blue Devils) won it all. It was a fairly large office pool of 1,000 people. One guy based it on who would win if the mascots fought. The rules were like, people with guns would beat animals, who would otherwise beat people who didn't have guns. Turns out, supernatural creatures like devils would beat most things." RoadFish.com is an online men's lifestyle and finance magazine targeted toward men in their 30’s and 40’s that have already attained a moderate level of success in life, and are striving toward more. It goes over current events of interest to this group, such things as exciting adventures, making money, consumer interests, internet marketing, and dating tips, as well as ways to make more and save more money. It is a publication owned by Purpose Inc.